CCTV Warwickshire is everywhere and with good reason too. Coventry based JPCCTV provide professional but cost effective CCTV installations within a 70 mile radius. 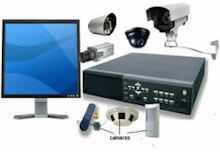 We work on both a domestic and commercial basis and offer the full range of CCTV services.- in Coventry. Whatever the scale of your CCTV installation requirements or yourCCTV servicing or maintenance needs, JPCCTV will provide you with a professional and reliable service. We have an army of satisfied clients and we actually have somekind enough to leave reviews on our services. They leave these on a separate website and they can be seen by clicking here. We can supply and install your CCTV system, we can also connect your system to your local network and set this up so it can be viewed externally either on you Iphone, Blackberry, Ipad and much more. CCTV the only Crime Prevention Tool You Need.